Private label and brands: Which has the edge now? Locally and globally, markets are experiencing “retail climate change.” Relationships are shifting, including the relationship between private label and brands. Presently, three areas stand out where change has the potential to dramatically affect the balance of power. Two Nielsen studies speak to the difficulty of finding the “new normal” following the global financial crisis. In America, “the recession turned into a windfall for private label. But since the end of 2008, overall private label growth has slowed, as brands stepped up promotion and innovation efforts.” Globally, “perceptions of private label are favourable around the world, but value shares are much higher in developed regions like Europe, North America and Australia.” For Nielsen, no handholds are seen for getting a grip on the new normal. Except, another interpretation is possible. The eye opener is that consumers worldwide, by substantial margins, no longer see a defining difference in quality or status between private label and brands. Consumer acceptance has reached and passed that tipping point. Seeing private label as equal to brands is normal now. That shift is not compromised by lower value shares in newer markets. With other circumstances working against private label growth, elevated consumer attitudes become a leading indicator. Further, competing as equals helps to explain how year-over-year comparisons produce continuing small changes. Changed attitudes also suggest rethinking the private label-brand relationship. Rivals? For sure, but not more deadly or so different from brand-on-brand or private label-on-private label competition. Partners? Some have pointed to possibly dividing the spoils. Private label focuses on high-volume, commoditised categories. Brands own the others. That’s not happening. More productive may be viewing private label and brands as two sides of the same coin. Dedicated competitors, but equally dedicated to becoming the preferred solution to consumer needs. Another aspect of consumer acceptance involves category expansion. For brands, moving into other categories, often through acquisitions, has shown mixed results. Conversely, entering new categories is second nature for private label, accepted even by consumers who react negatively to big brands. In an American survey, 50% of all respondents reported “having recently tried store brands in categories where they previously bought only national brand items”. Private label has a gateway that doesn’t apply for brands. Trial and conversion, based on previously having a positive experience in a different category, is a powerful accelerator for private label growth. 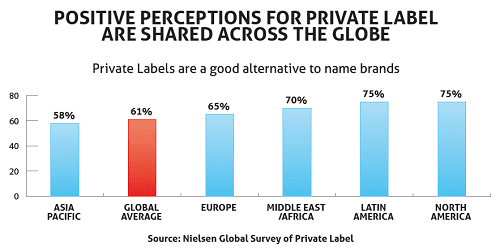 Best guess: Improving consumer attitudes are a significant positive for private label. Because they can. Aldi and Lidl have the will to expand, the resources needed and a game that seems to play well wherever it goes. The principal target is America, presently faced with a major expansion (Aldi) and new entry (Lidl). 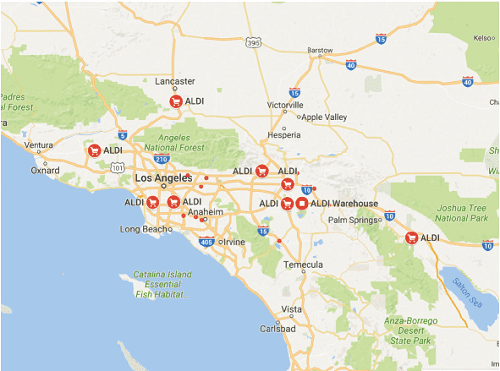 Focusing on the West Coast, Aldi will add 650 stores by 2018 (approximately 50 this year), bringing its American total to 2,000. 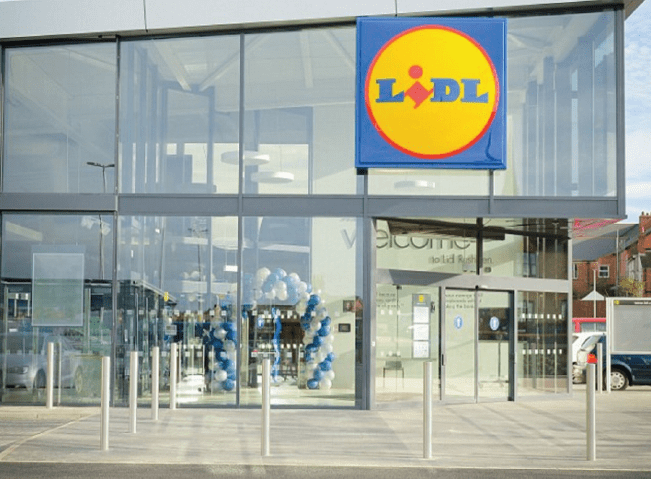 On the East Coast, Lidl will open 150 stores in that time, with an eventual goal of 2,000 as well. For both discounters, the American stores will be larger than European models (in Lidl’s case, twice as large). Future concepts will be drawn from across Europe, including healthy and sustainable brands, larger non-food sections, expanded staffing to elevate customer service, and sophisticated marketing support. Also an emphasis on premiumisation, with regard to products and demographics. For decades, Aldi store openings in America followed a plan of shadowing Walmart. The West Coast strategy calls for “skillfully-sited stores, accessible to higher income customers, without necessarily hitting high-rent shopping centers”. In the same way that private label has closed the gap with brands, discounters have pursued “supermarketisation”. Of course, private label is a key element. Aldi brings its American assortment to California, including Willow, Boulder and Green Action (recycled) in paper categories. Lidl has registered more than 1,000 brand marks for possible use, including Floralys and W5 for paper products. Analysts note the discounters sometimes open up in new areas with an extra ration of brands. But there is no question that private label will over time regain many of those spots. 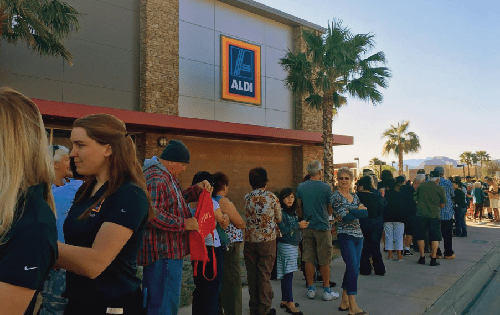 Aldi’s and Lidl’s American initiatives are expected to disrupt the discount channel and channels beyond, offering shoppers a more intensive private label experience, while moving (or forcing) other retailers to expand their private label activity. On a smaller scale, Lidl and Aldi continue to expand in Central and Eastern Europe. And then there is the other big fish – with Aldi reported to be developing a China strategy. Noted experts have written off those reports, explaining that Aldi would have to build its infrastructure and supplier network totally from scratch to operate in China, which Aldi would be unwilling to do. Other watchers are not sure that “unwilling” applies. Best guess: Continued discounter expansion strongly benefits private label. Online grocery shopping appears ready to take off, after a slow start. For Retail Tissue & Hygiene, the shift so far has been described as “comparatively low impact”. Only 2% of global retail sales (2014) and not quite reaching mid-single digits even in developed markets. But momentum is building. In America, the number of households buying groceries online in the last 60 days jumped from 11% in 2013 to 21% last year. By 2020, retail futurists estimate the online channel will capture 25% – 40% of all American retail sales. Online share will vary widely by category and channel, with expectations (not forecasts) leaning towards the higher end for non-food, commodity categories such as household paper. Retail Tissue & Hygiene would seem most likely to see store customers shift to subscription programs, targeting regular-use products. While still a small segment of online shoppers, subscribers are the most highly satisfied with their experience. Three Amazon initiatives (the first especially) suggest how online shopping growth might impact private label and brands. Also, how complicated retail dynamics have become. The Prime Story – Amazon’s business strategy depends on creating Prime members, now estimated to be 45 – 50 million. With those numbers, Amazon is a lifeline to big brands. Thanks to Prime, American online sales of consumer packaged goods rose 42% last year, compared to 30% for e-commerce overall. The Dash Button – Prime members press the button to order the likes of Clorox, Doritos, Purina, Red Bull or Starbucks from home (one button per brand). Some 150 brand participants include Angel Soft, Brawny, Charmin, Cottonelle, Puffs, Quilted Northern and Seventh Generation. Brawny has the second largest Dash basket size. As for Dash prospects, analysts report that after an initial period, use drops off. Customers seem to like shopping around or want to know today’s item price before pressing the button, information not provided by Amazon Dash. As use subsides, order volume is sustained by selling buttons to new Prime members. Amazon Private Label – Is coming back, in CPG food and non-food categories, including Mama Bear diapers (after Amazon Elements diapers were dropped last year, but baby wipes survived). Fashion lines are on tap, too. No word yet on paper categories. Amazon private label is seen as a threat to some smaller brands that use Amazon; an annoyance to larger brands. Represented by Amazon, the online shift is a clear and present danger to American retailers that have been put on notice by the industry. Having a fully capable, effective online presence will be critical within the next year, not to match Amazon, but to provide a combination of retail programmes and digital capabilities that will retain and attract shoppers. One wild card is Amazon. The other is how well retailers prepare for the prospect of having shoppers removed from the store environment. Best guess: Potentially a gain for brands and sizeable loss for retailers (private label). Advantage brands. 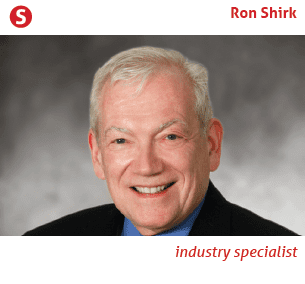 Ron Shirk is a specialist in private brand, consumer and retail strategy. His experience as a global analyst and insights leader includes work for American-based consumables retailing specialist Daymon Worldwide. Share the post "Private label and brands: Which has the edge now?"